I am an advocate of displaying what you love. You want to keep everything from your children’s … well childhood. I encourage you to do something with the items you keep. If you throw it in a box along with everything else that you feel is “special”, then I hate to tell you that it must not be that special. If your children are old enough, then ask them what they want to keep and what they think can be “donated”. Donated can mean recycle if it is paper. I see many parents keeping “birthday party memories” and “home from the hospital” memories. 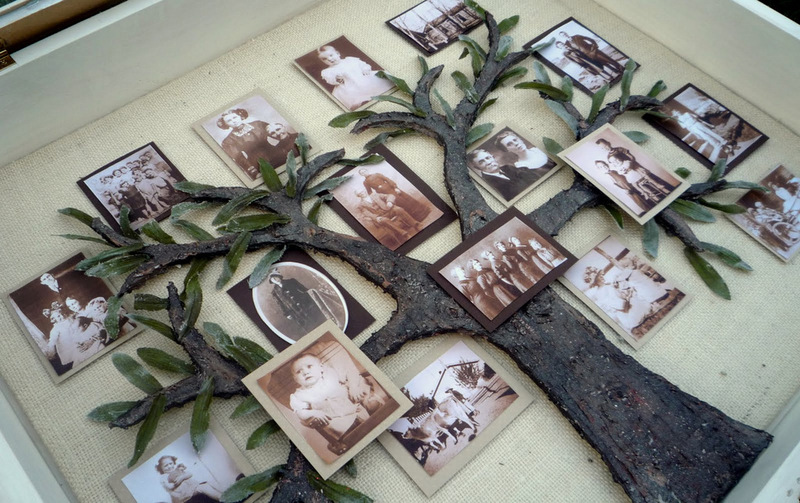 Here is a quick and easy weekend project that will get the special memories out of the attic and up on the wall — where they belong! These would look cute if you added more through the years. Home from the hospital, 1st birthday party, 2nd birthday party, etc. Remove the backing from the shadow box. Measure and cut the paper for the backing. Spray glue the paper to the backing. Once dry, use adhesive dots to arrange memories in shadow box. Voila! Functional artwork for your gallery wall or child’s room! How do you display your children’s special memories?